Shower Steamers; I’m not a morning person. I really don’t start to perk up until about an hour after waking up. But sometimes, you just have to get out of the house early, and be in a decent mood! While coffee always helps, my new favorite morning wake-up aid is invigorating shower steamer tabs. 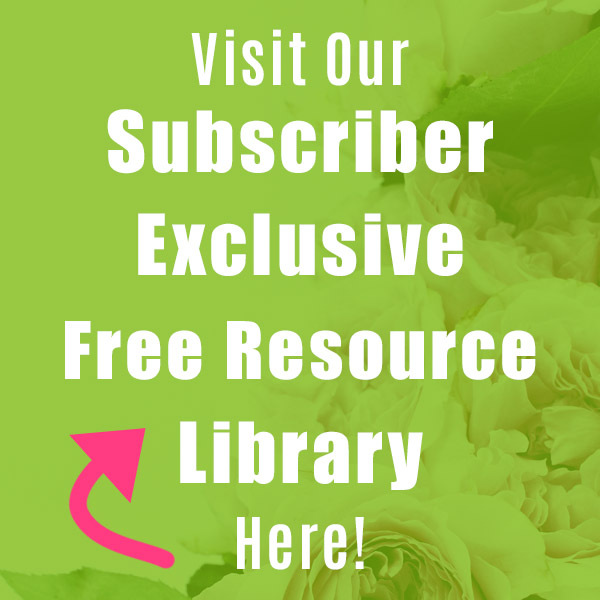 It’s amazing how aromatherapy can help wake you up and brighten your mood! 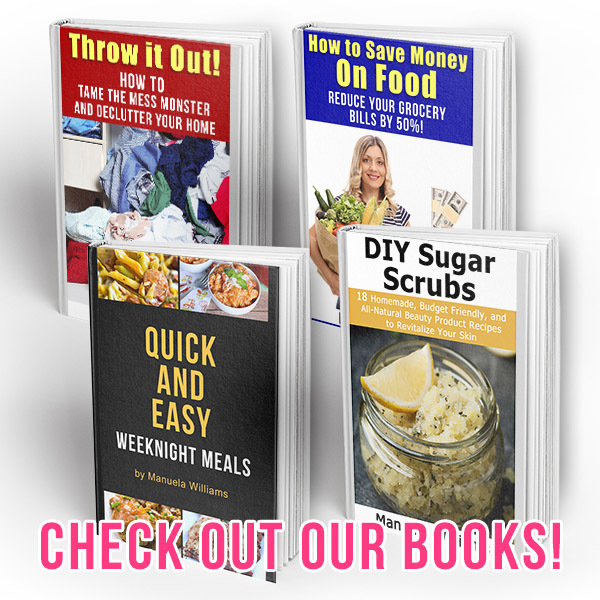 If you want some invigorating shower steamers of your own, you can make an inexpensive batch of my Grapefruit Mint DIY Shower Steamers! 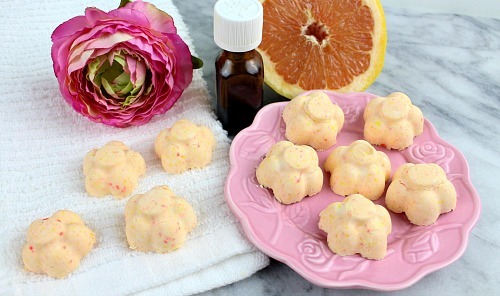 Wake up and feel invigorated by adding these easy citrus DIY shower steamers to your morning shower or bath! 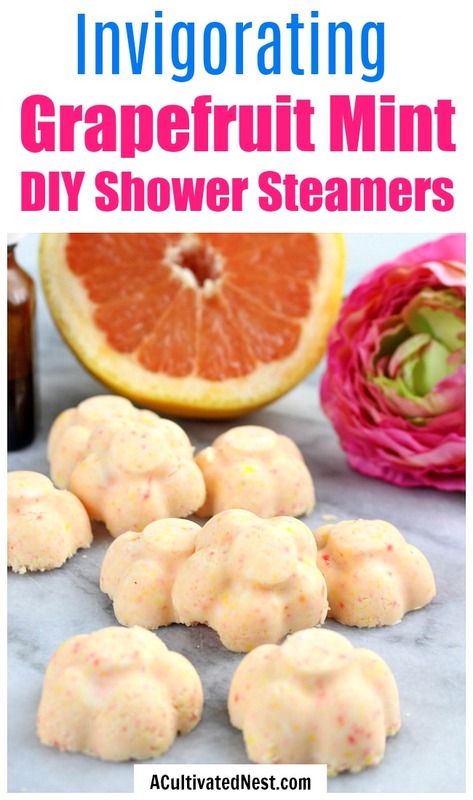 Since these are just supposed to steam and not fizz, I made these DIY shower steamers without citric acid. If you’re looking for something fizzy, you should make a DIY bath bomb instead. 1. 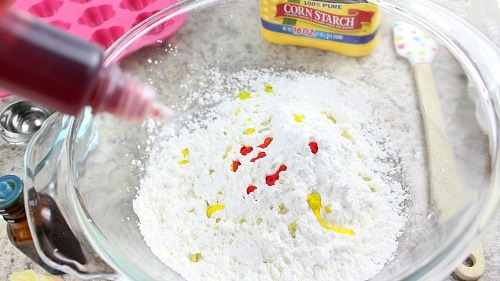 Add the cornstarch and both essential oils to a medium mixing bowl. Stir to combine. 2. 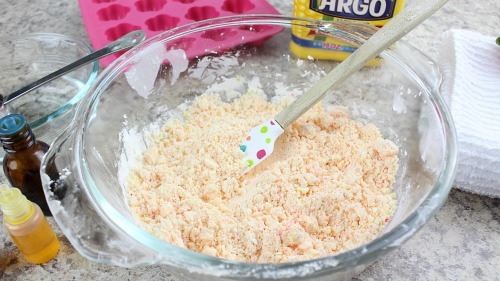 Add the soap colorants and stir again to incorporate. (The cornstarch will not turn orange until you add water). 3. Start out with adding 2 Tablespoons of water and mix well. 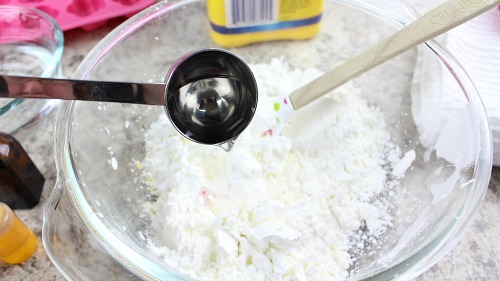 Keep adding 1 Tablespoon of water at a time until the cornstarch resembles damp sand and it can form a clump in your hand. (I ended up using a total of 5 Tablespoons of water). 4. Transfer the mixture to your silicone molds, pressing down firmly, up to the top of each mold. 5. 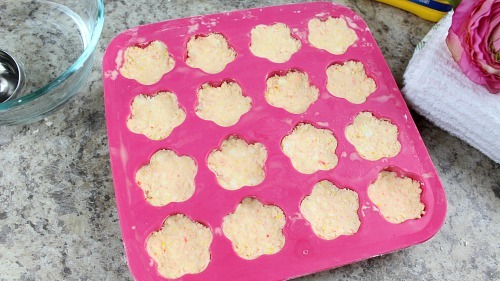 Freeze the DIY shower steamers for 2 hours. 6. 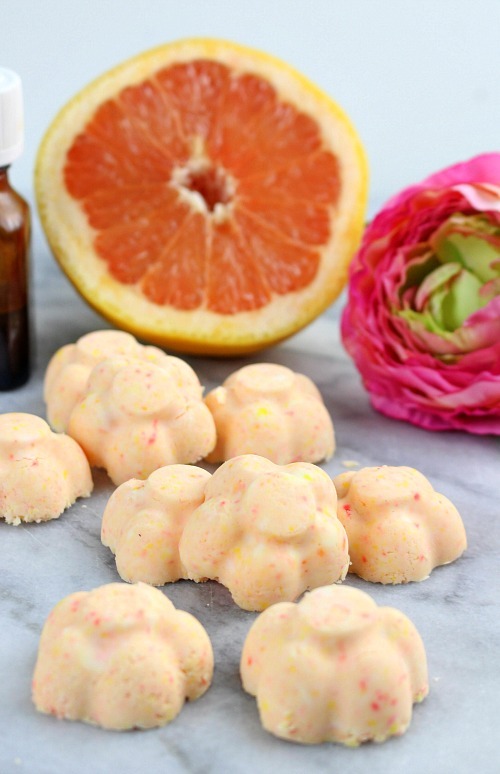 Gently pop each grapefruit mint shower melt out of its mold and store in an airtight container. 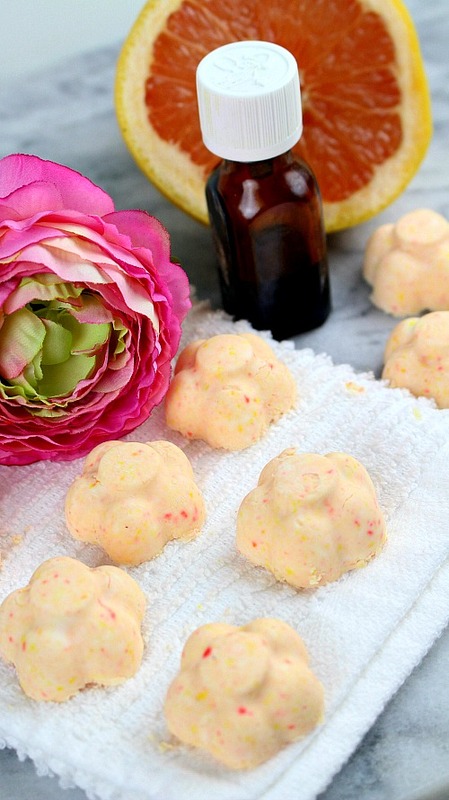 Place 2 grapefruit mint shower steamers into the corner of your bathtub or shower, away from the hot stream of water. The steam will activate the uplifting grapefruit and peppermint vapors. 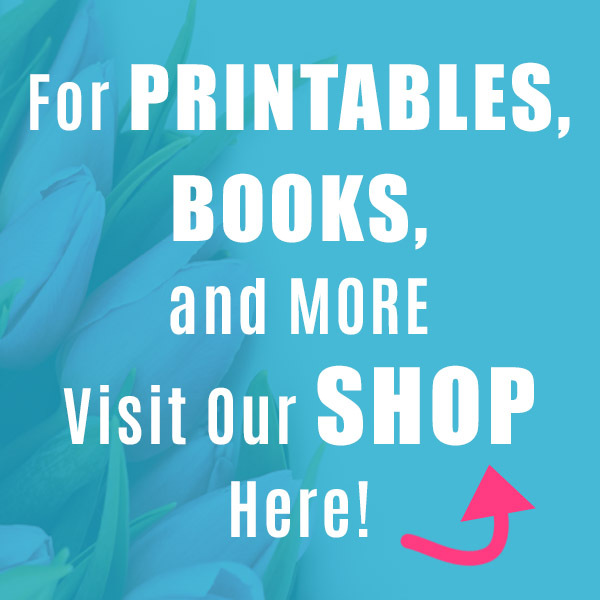 Then you can awaken to the energizing aroma of grapefruit and peppermint! What helps you wake up in the morning?